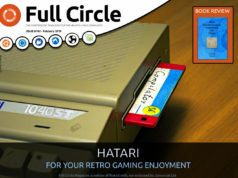 Something of an unusual Special Edition this time, it really is special in that little of this material has appeared in Full Circle Magazine before. For this one, we’re out on a limb, running new articles, albeit on some familiar topics we’ve touched on, for example in the Q and A section of the magazine. This is also the first not overseen by our esteemed Editor, Mr Tucker. You are now at the mercy of the demented genius usually in charge (if you can call it that) of the Full Circle Podcast. Try not to be too alarmed by the random mind of the man who brought you Mallard Man and Northern Star Trek. Normal service will be resumed shortly. Enjoy. Previous articleAnother Special Edition - this time, Scribus! 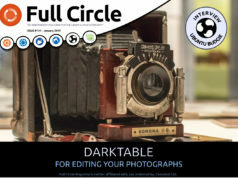 Next articleFull Circle Magazine - Issue #58 out NOW! The Google Curents FCM #57 was AWESOME!! Should I expect more editions in this format?. I try to use Calibre to send FCM to my tablet, but the results are so ugly. BTW, Thanks for all your work!! Don’t forget our epub editions too. Really like your magazine. Last issue on epub was a great move, specially because I like to read on my ipod touch, and it doesn’t handle PDFs very well. Hope you continue releasing the magazine on mobile format. Like Robin, I can’t get on with Unity either. 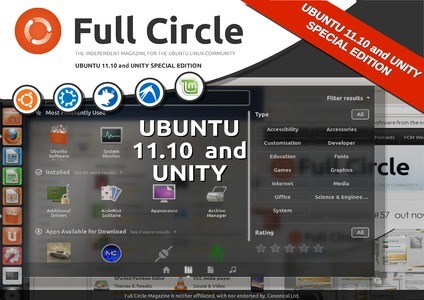 I’m looking to upgrade from 10.04 LTS and it’s ‘Anything But Unity’ as a front end. Xfce is a fallback, but I have just started trying out Gnome 3, which seems a bit more promising than I expected. Would like to see your thoughts on G3 please! Really appreciate the effort you guys put into the magazine and the podcasts – great stuff; many thanks.